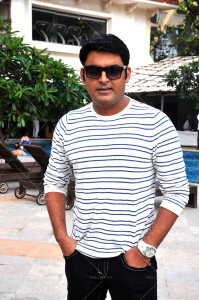 Recently, Kapil Sharma went with his entire family of his popular show “Comedy Nights with Kapil” for a 10 day US-CANADA tour to perform live shows out there. Comedy king, as bestowed upon him, the shows justified it very clearly. 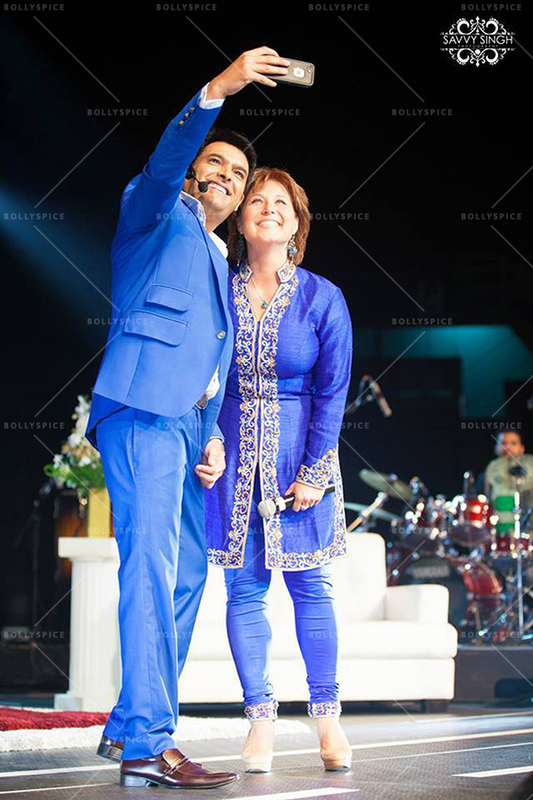 The audiences were awed by the exuberant comic timings of Kapil. The numbers went to around 10,000 who attended the show. The stand-up revolved around the concept of ‘Desh-Videsh’ hitting on our NRI audiences. Well, his random conversations with the audiences turned out to be a side-splitting one. Kapil, who always woos every female counterpart on his show, managed to steal the hearts of women at each and every place he visited. Women were seen hooting his name just to hear him sing a song, especially a Punjabi song. He sang the very famous ‘Challa’ from Jab tak hai Jaan. What we got to know is that, his comedy is not refrained to fans alone. The Defence Minister of Canada Jason Kenny and British Columbia Premier Christy Clark graced the occasion by their presence and it was laugh riot for them too. While Jason was called on stage by Kapil to have a tête-à-tête which was a hilarious one, Christy was called by Gutthi to perform Giddha, a popular Punjabi folk dance. They enjoyed and so did Kapil and his sweet family. And we know that, Kapil never fails to put a smile on people’s faces. Happy as always! His debut Bollywood movie Kis Kisko Pyaar Karoon is all set to release on 25th September, 2015. The film also stars Sai Lokur, Elli Avram, Manjari Fadnis, Simran Mundi, Varun Sharma & Arbaaz Khan. 16 queries in 0.856 seconds.